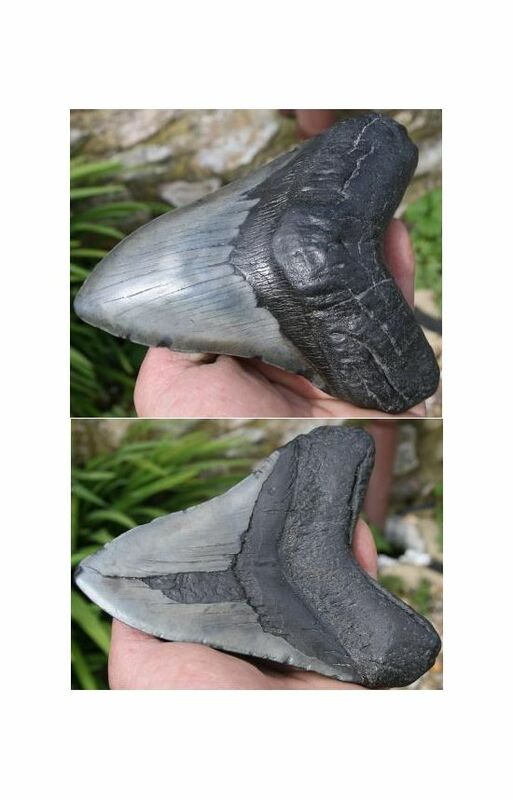 Megalodon/Shark's tooth. 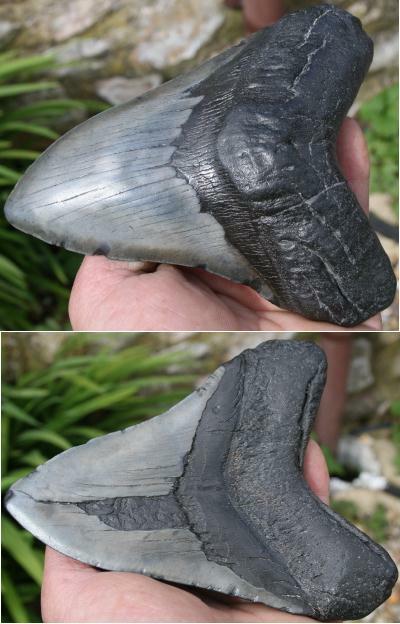 Huge tooth! Some serrations have worn away & some small chips, but still a great display peice. Postage included for UK customers. Size: Approx. 15cm. from root to tip, measuring along the edge.